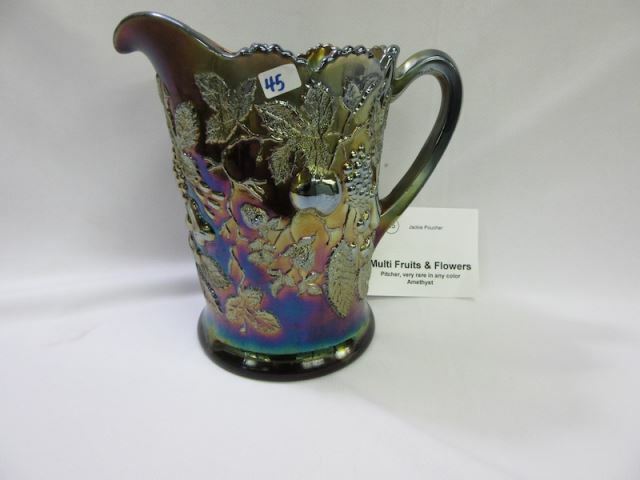 Millersburg's Multi Fruits & Flowers is pretty much embodied in the name. 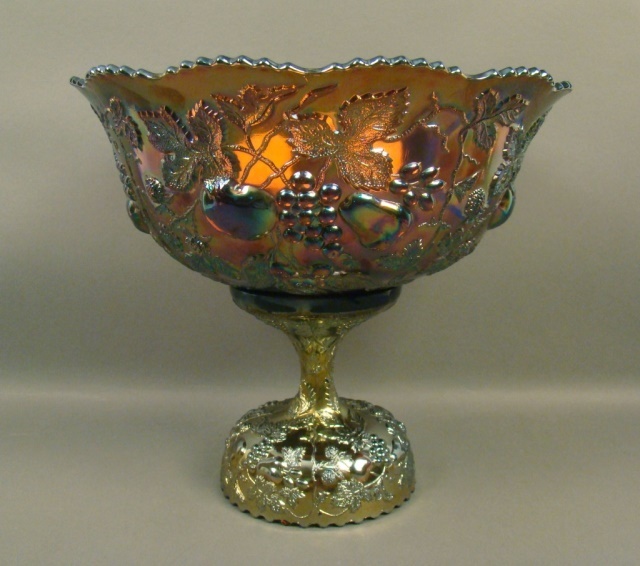 The flowers–grapes, apples, and pears–are in high relief. 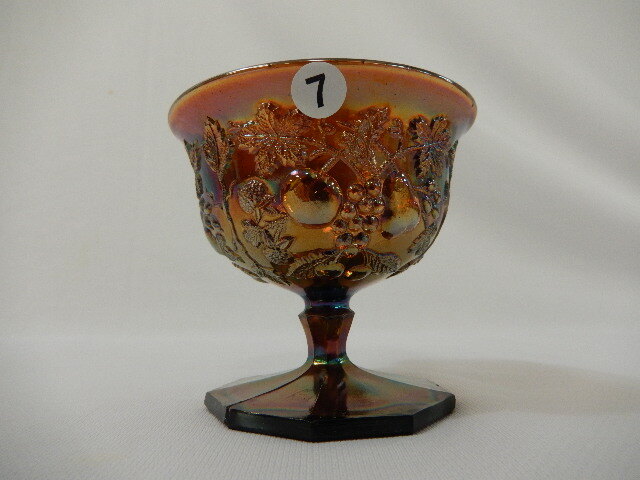 Some collectors shorten the name to Multi-Fruits, but it's the same pattern. 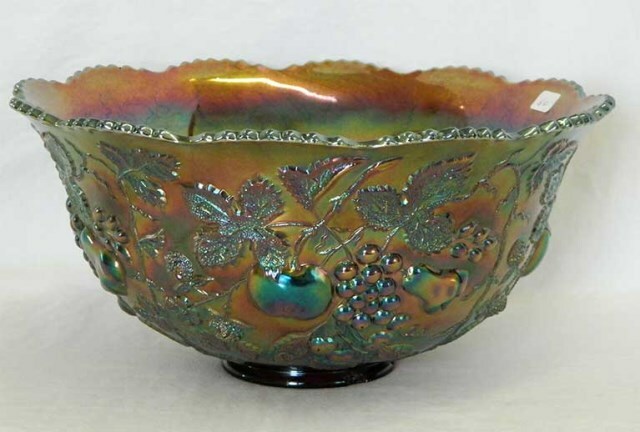 Don't confuse it with Dugan's Many Fruits, however. 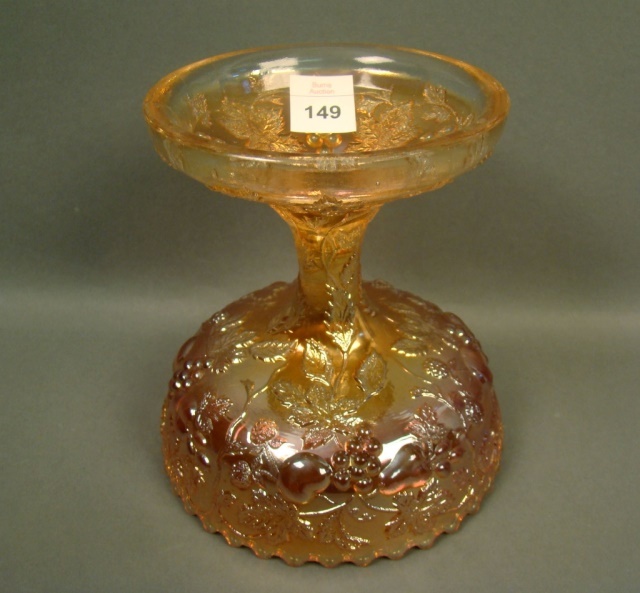 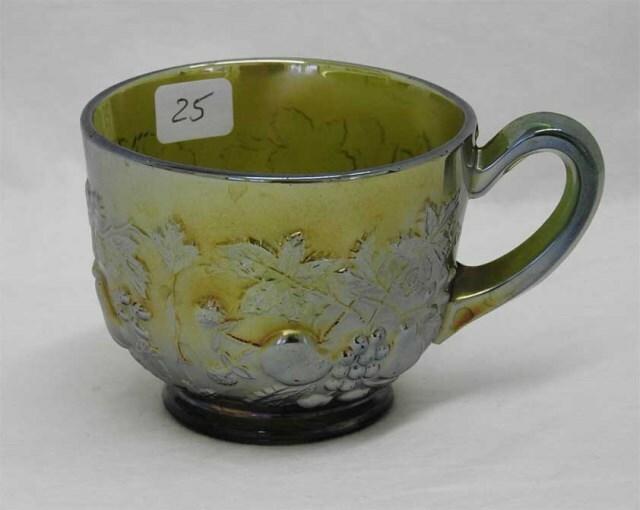 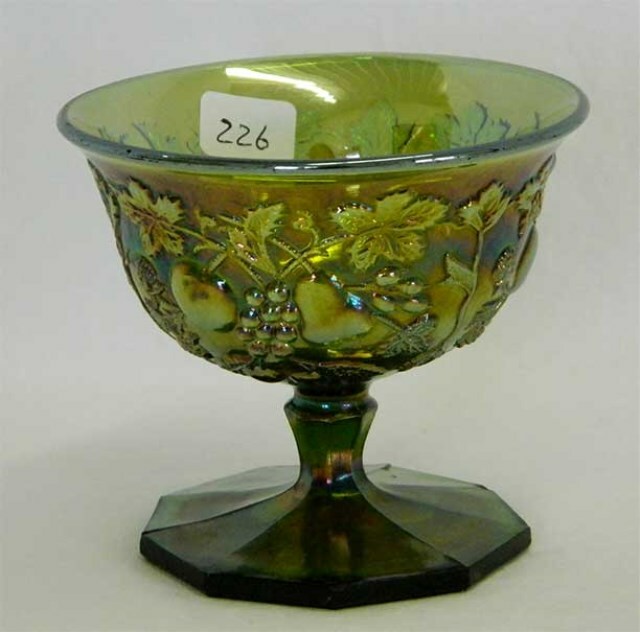 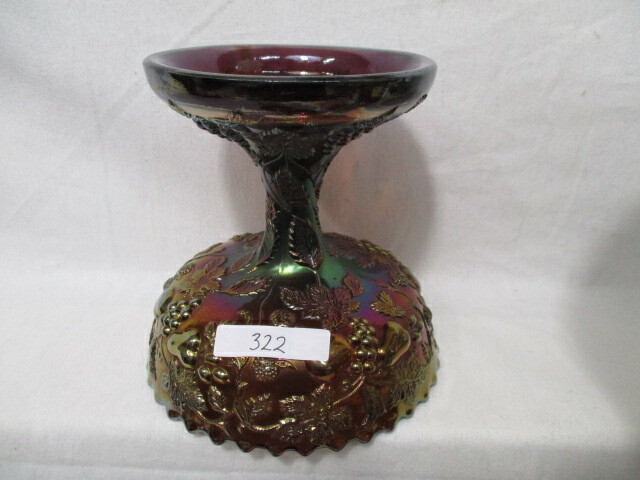 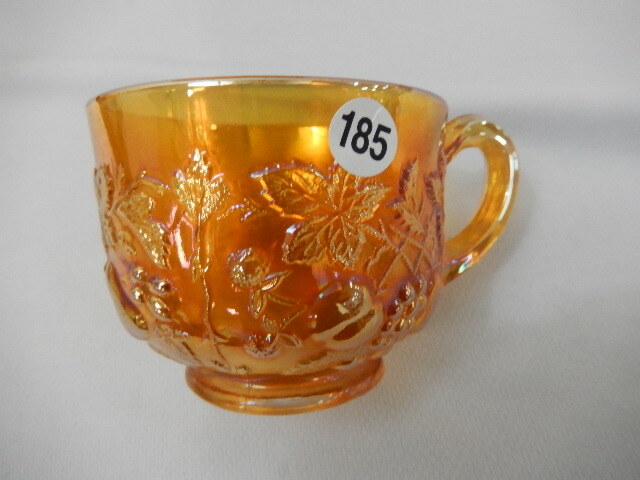 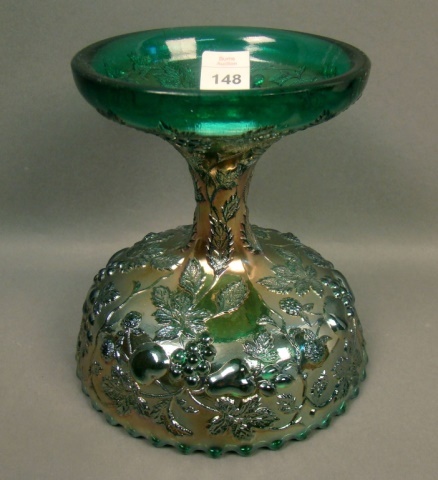 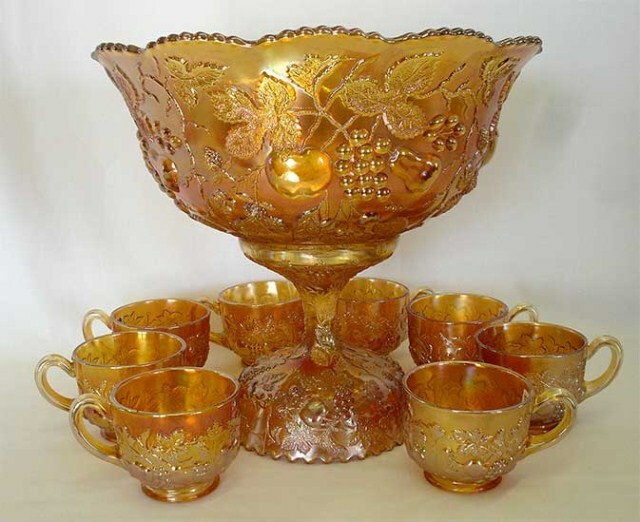 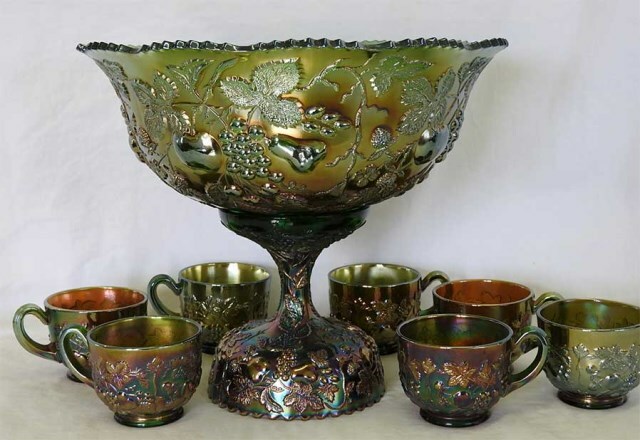 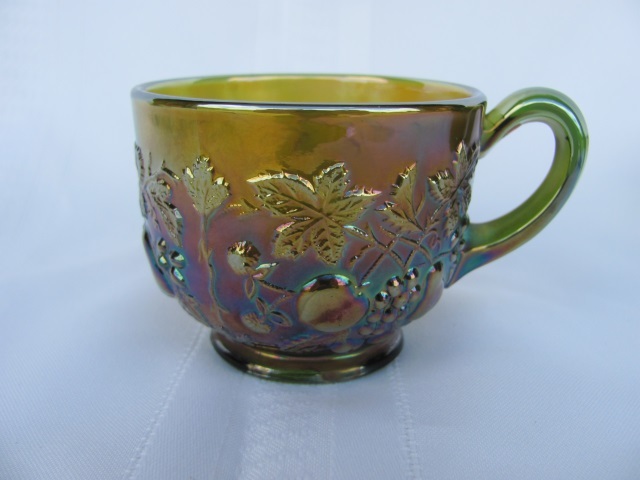 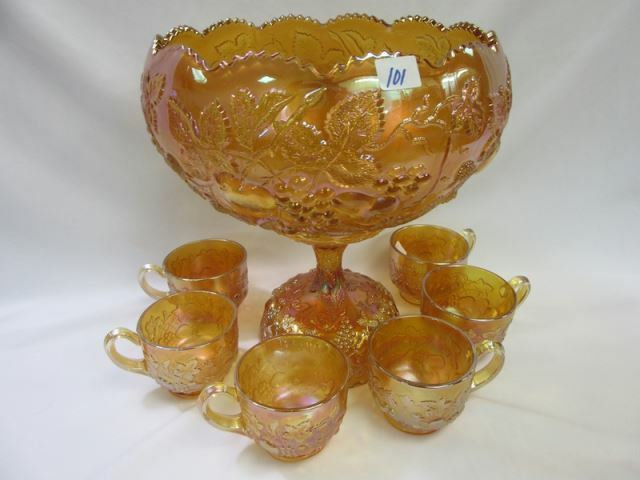 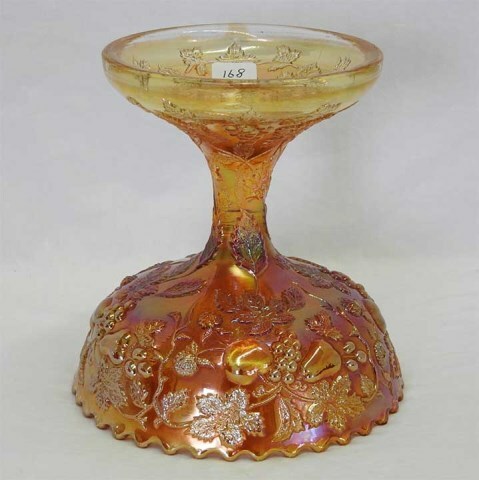 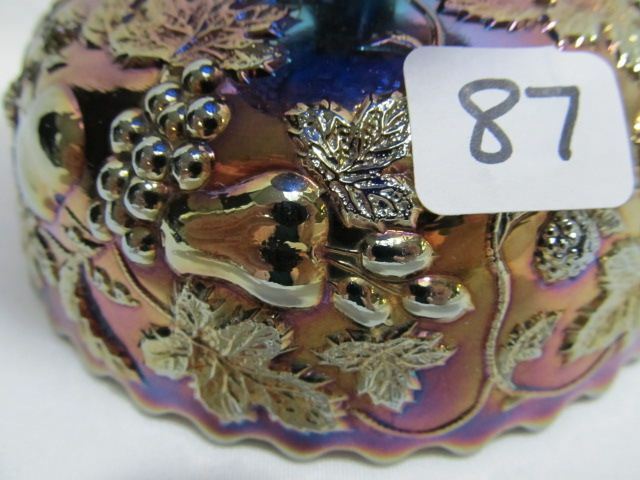 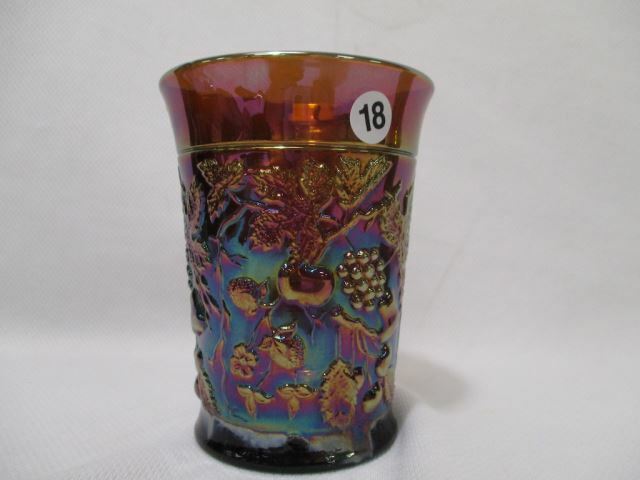 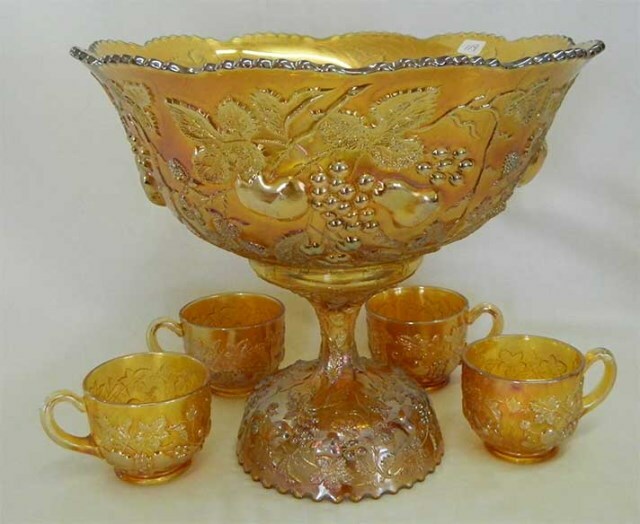 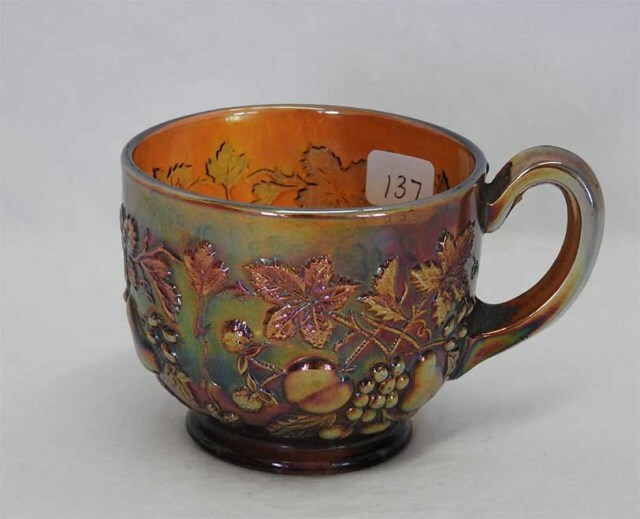 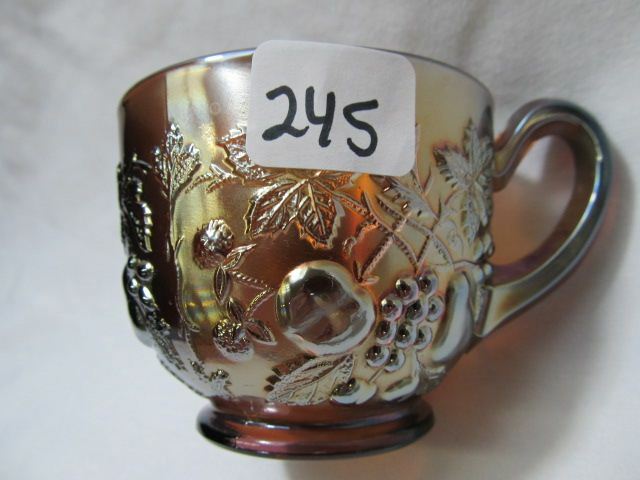 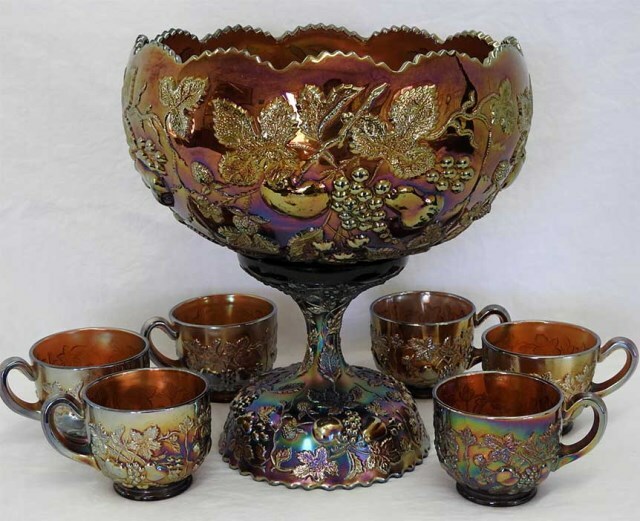 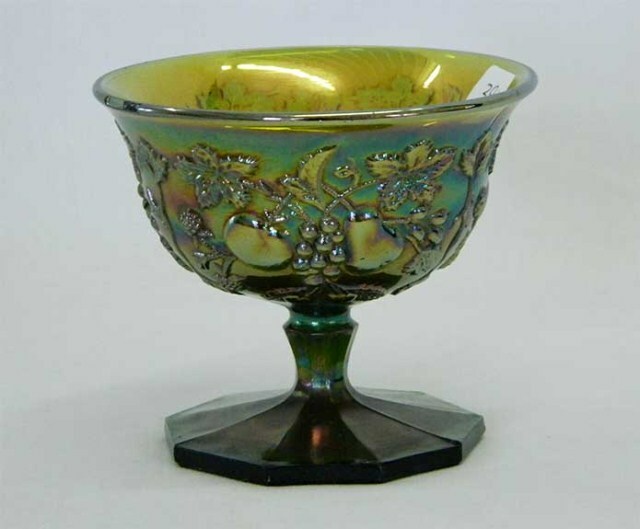 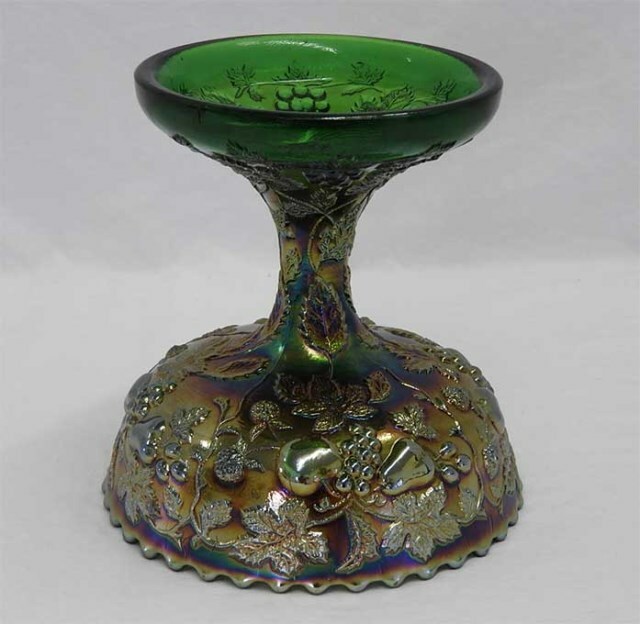 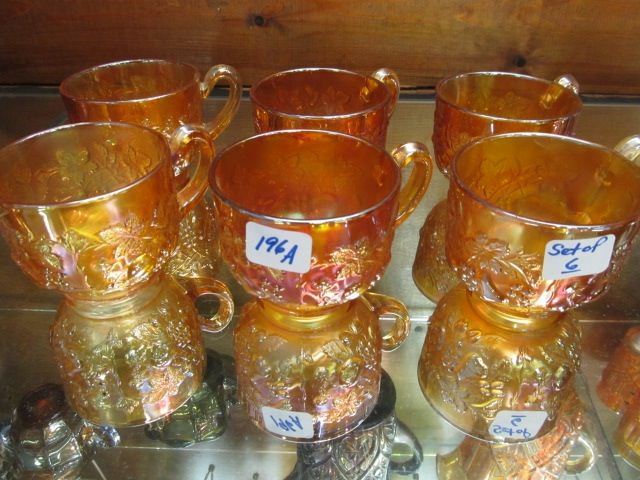 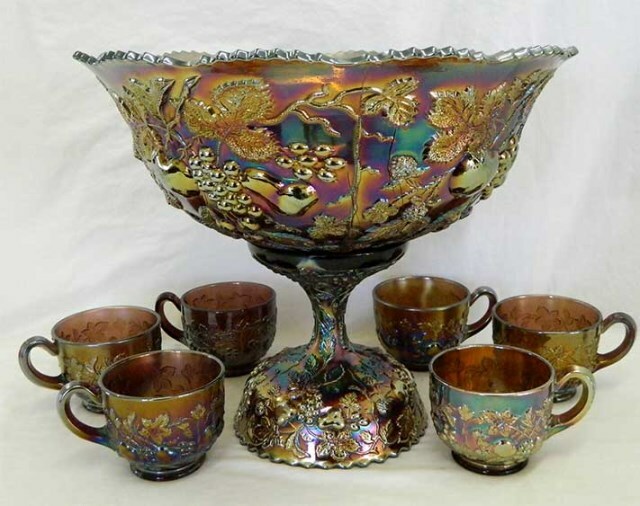 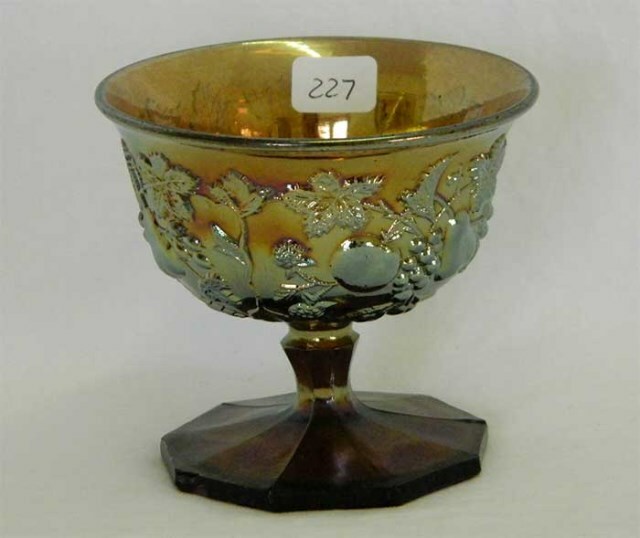 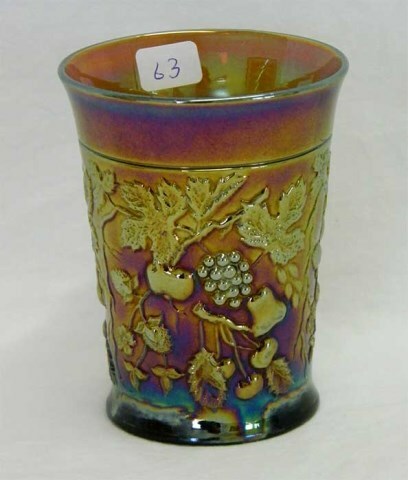 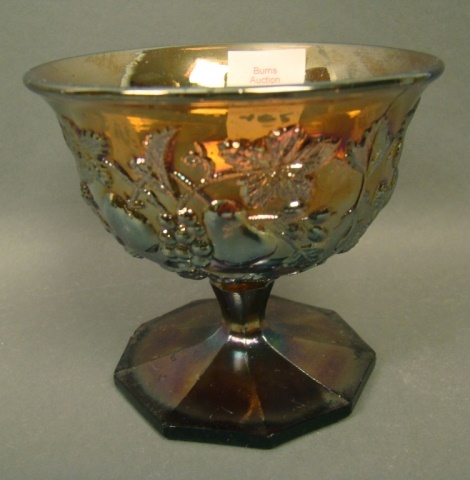 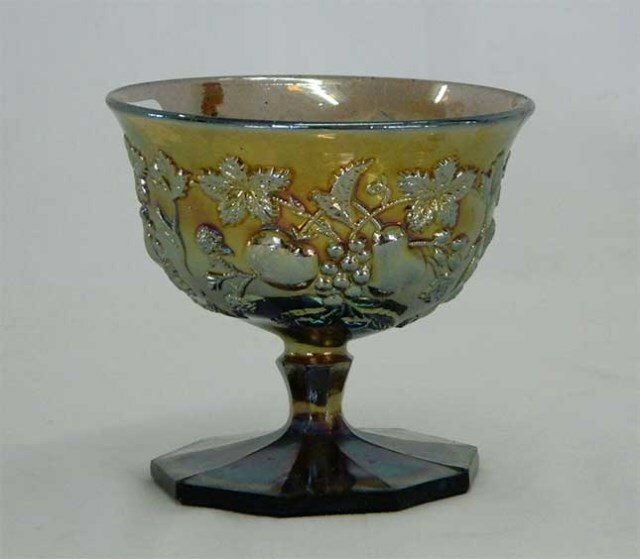 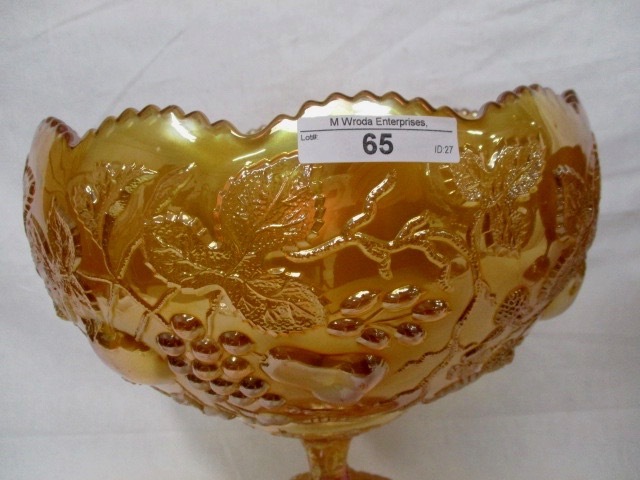 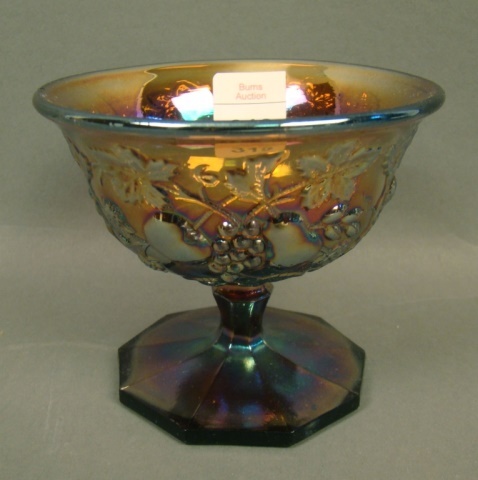 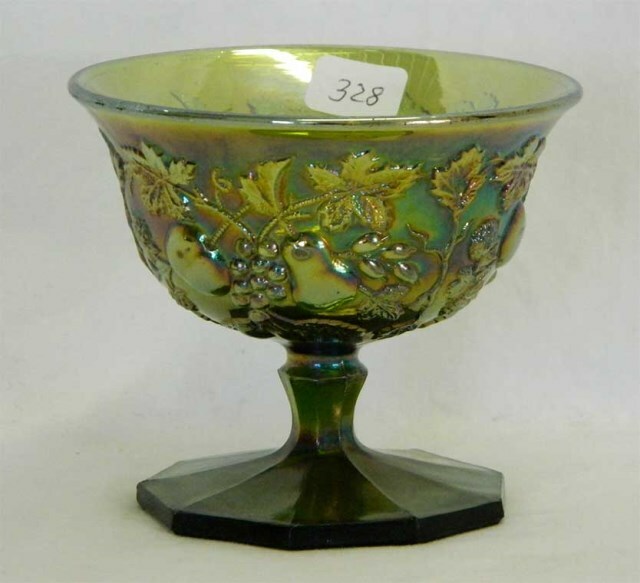 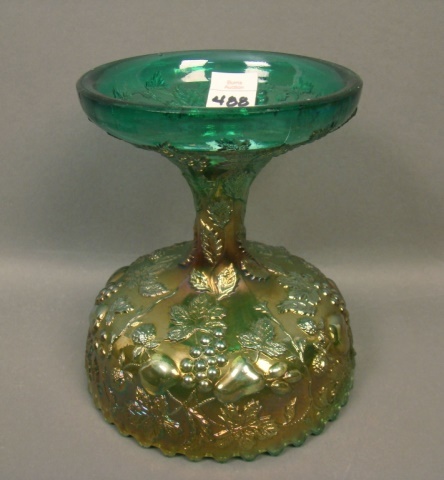 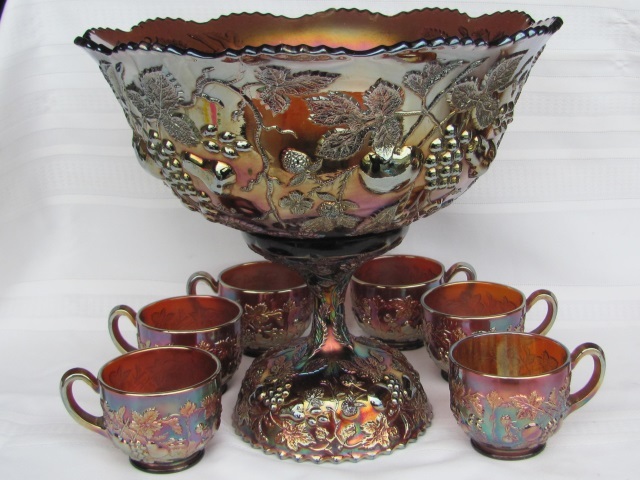 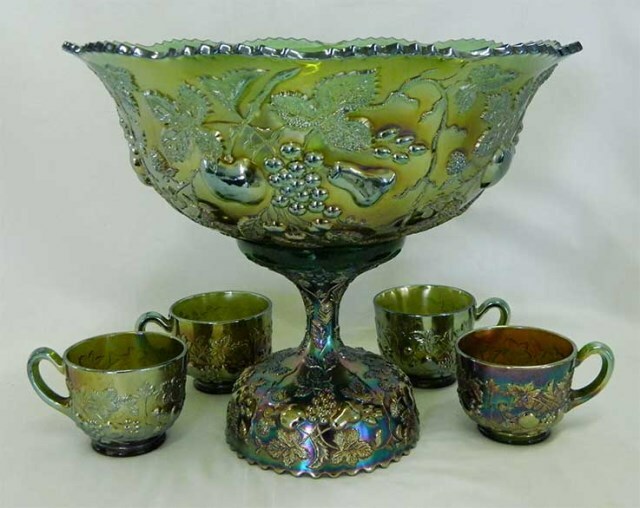 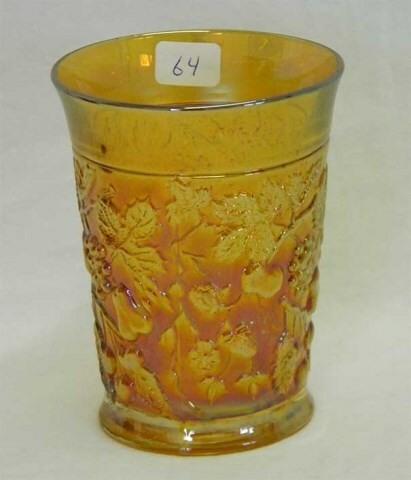 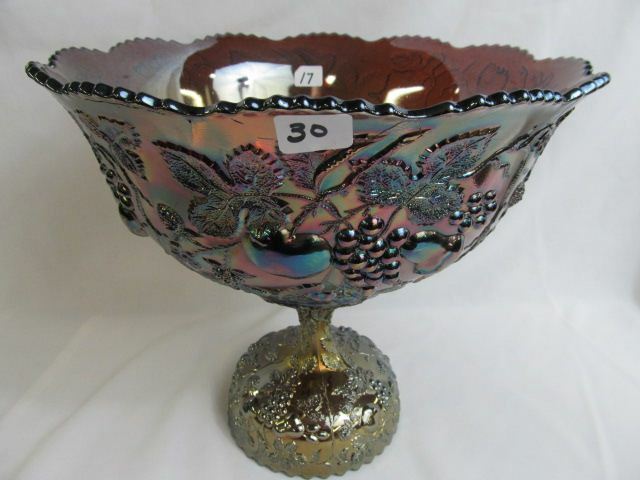 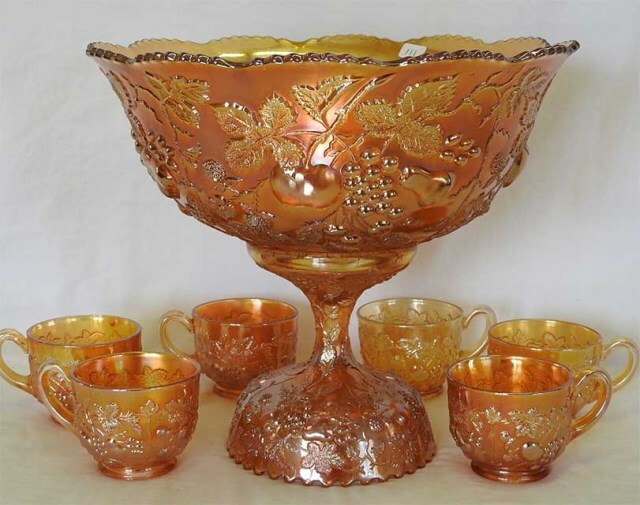 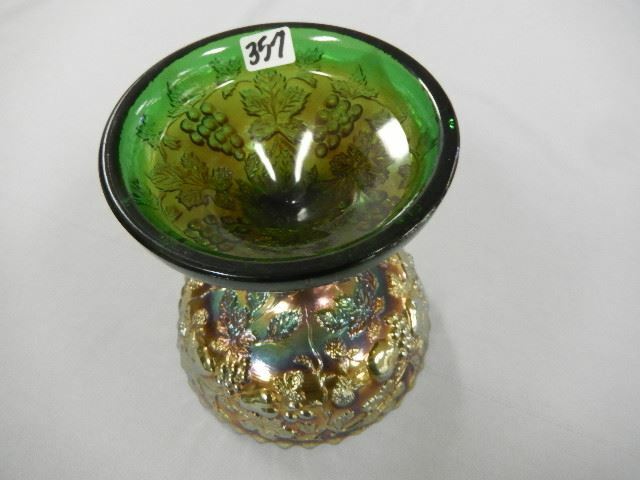 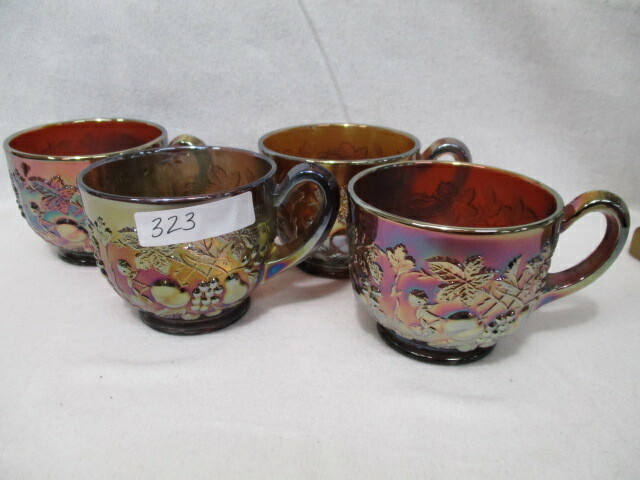 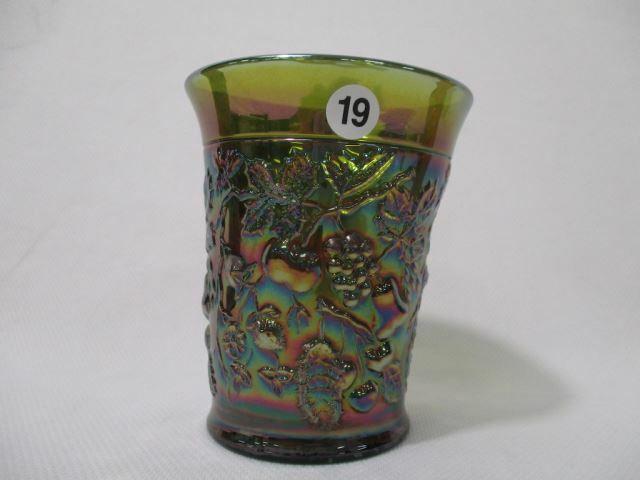 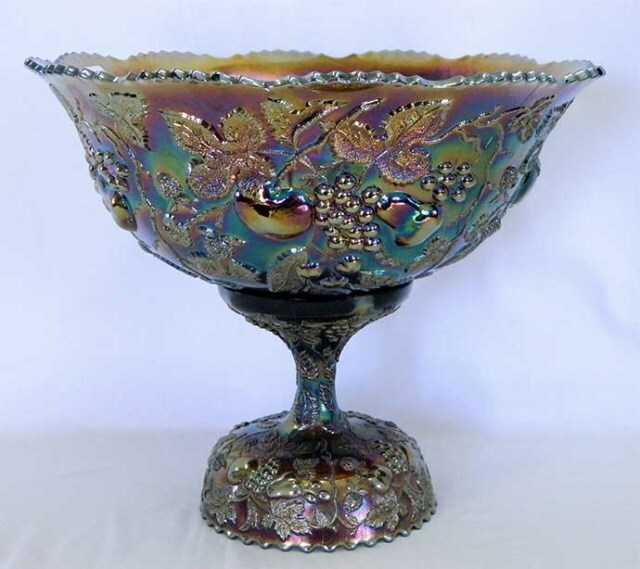 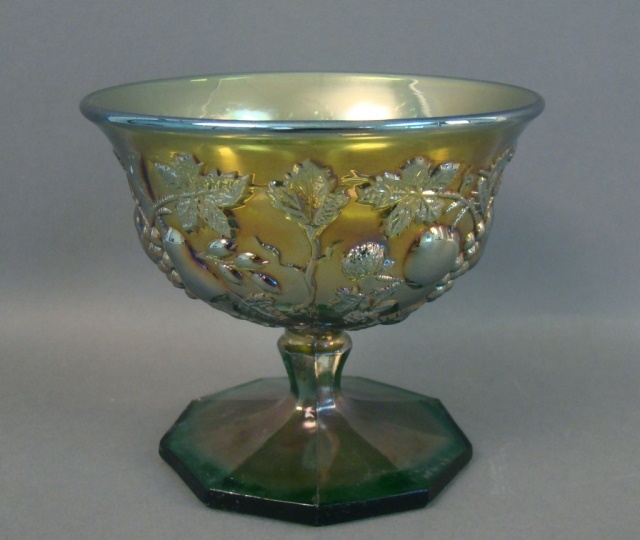 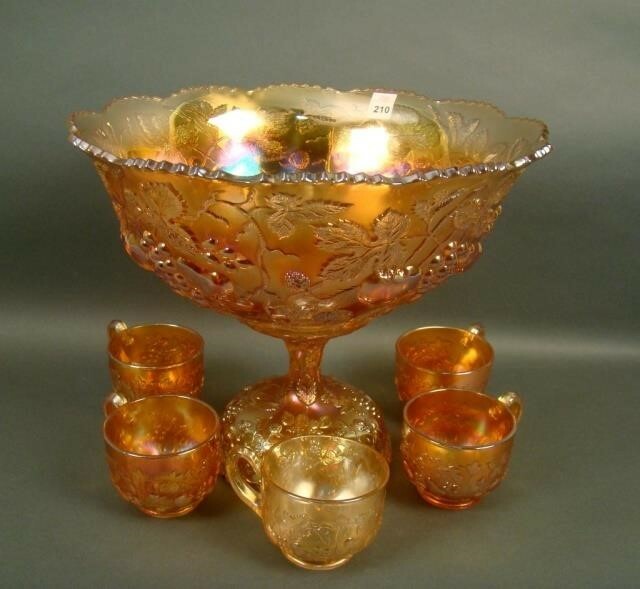 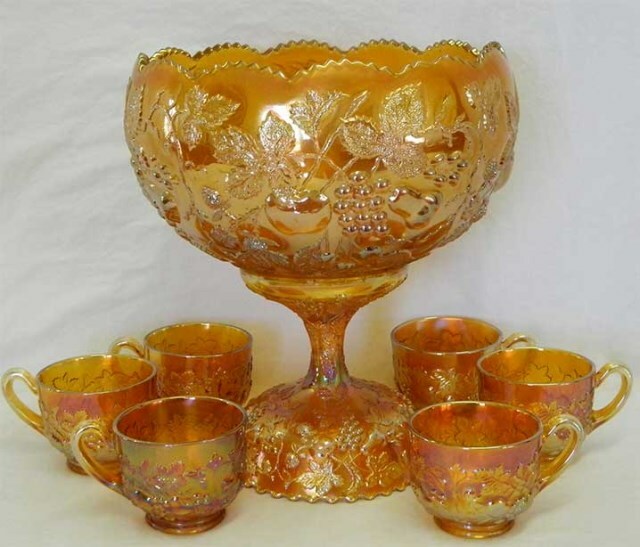 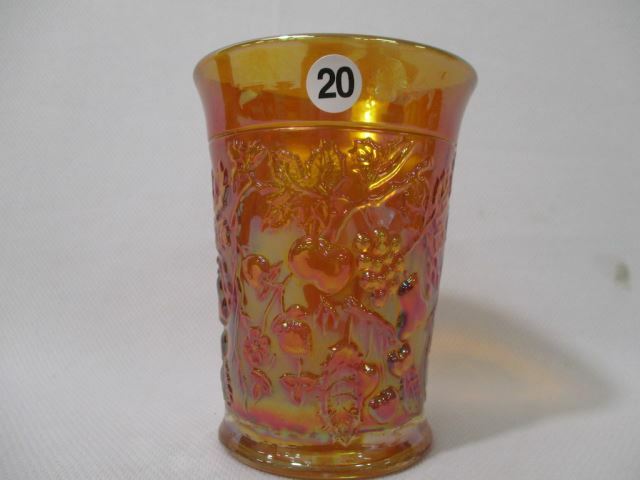 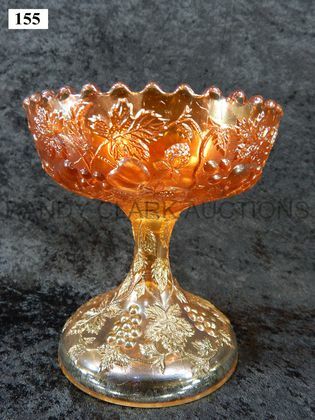 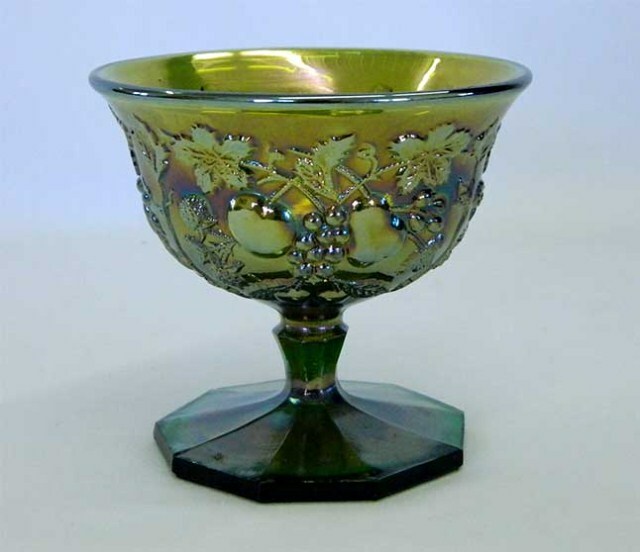 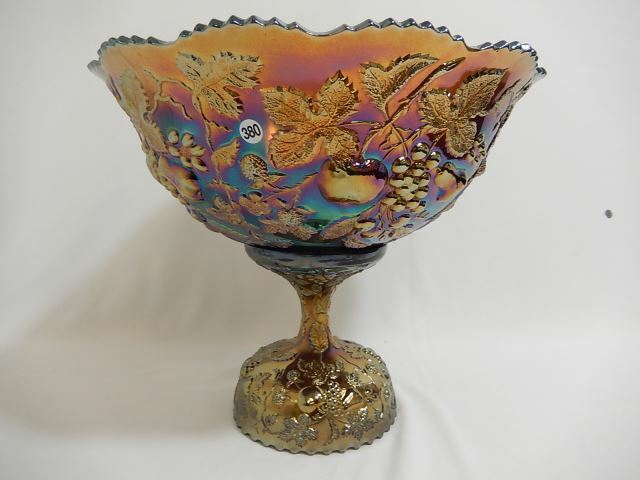 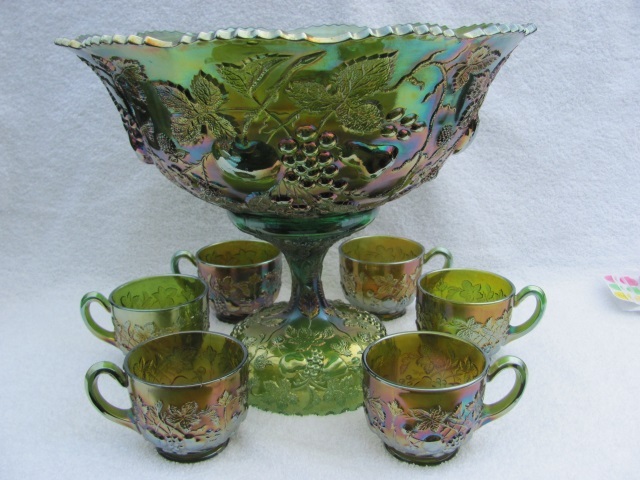 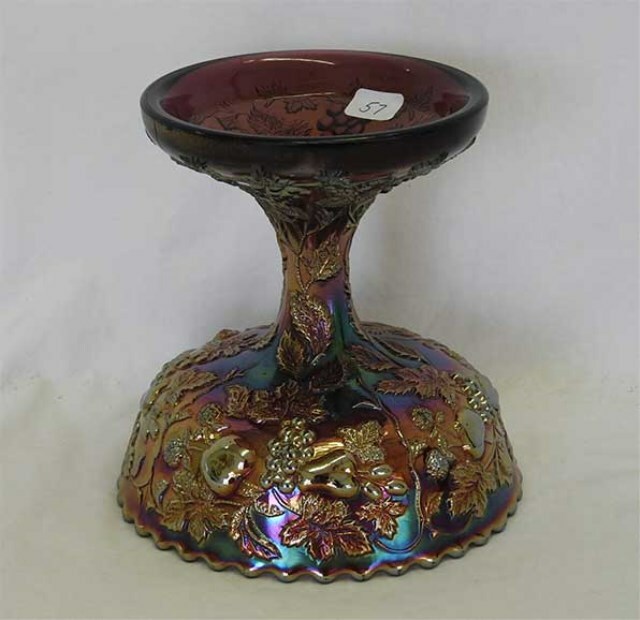 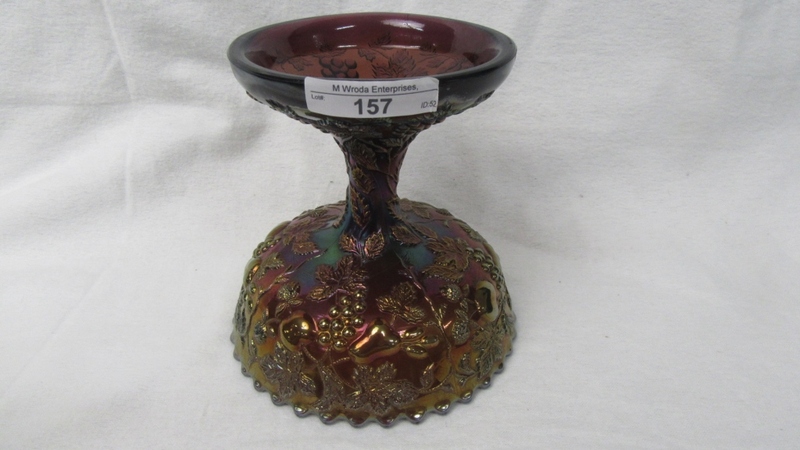 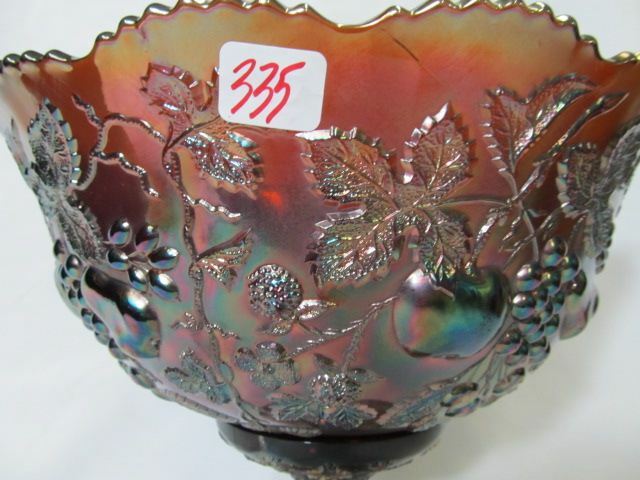 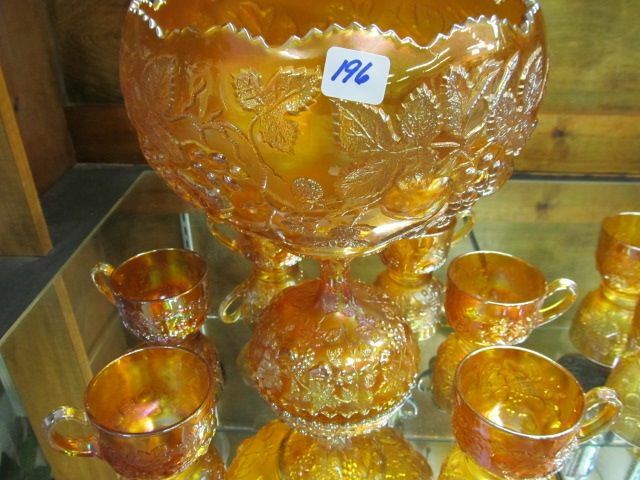 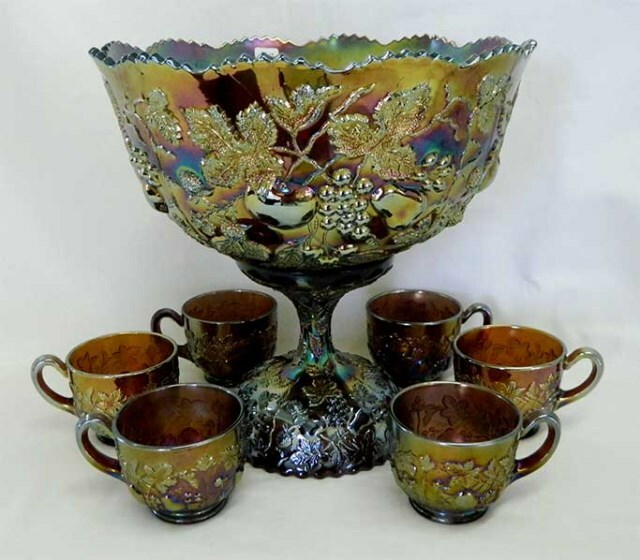 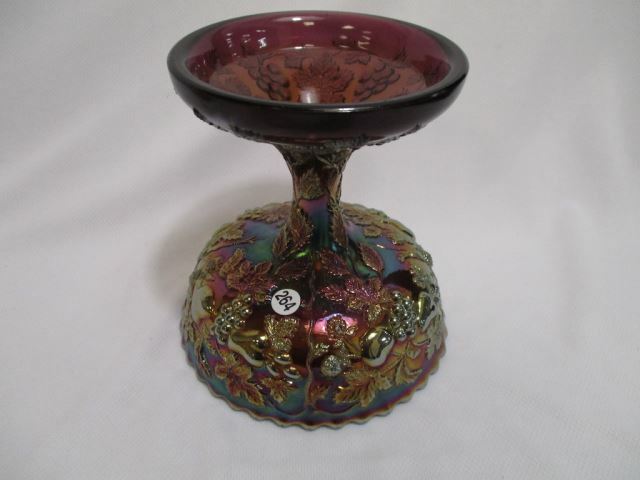 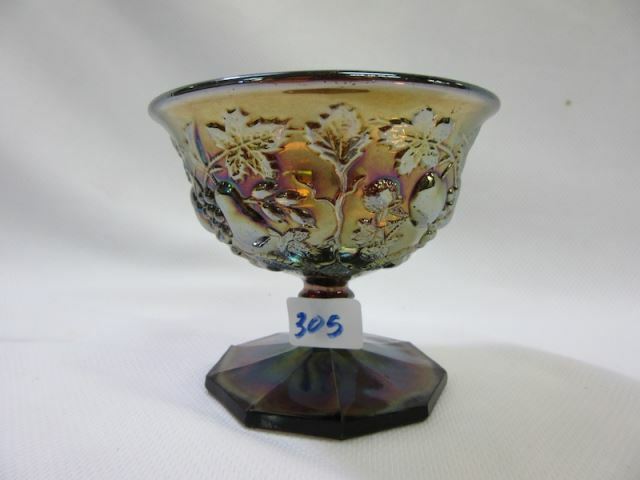 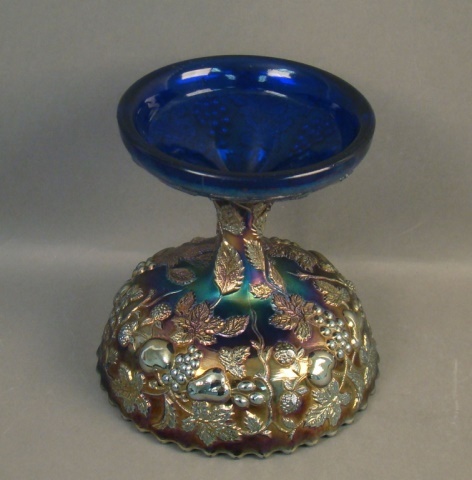 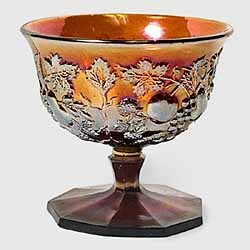 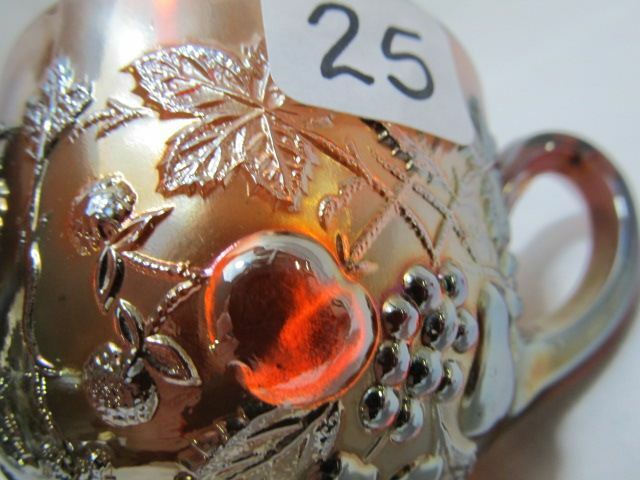 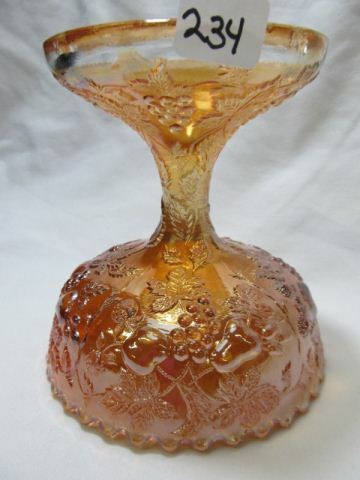 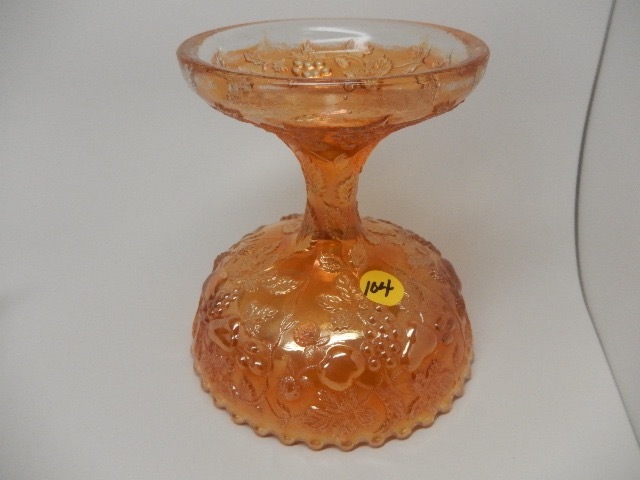 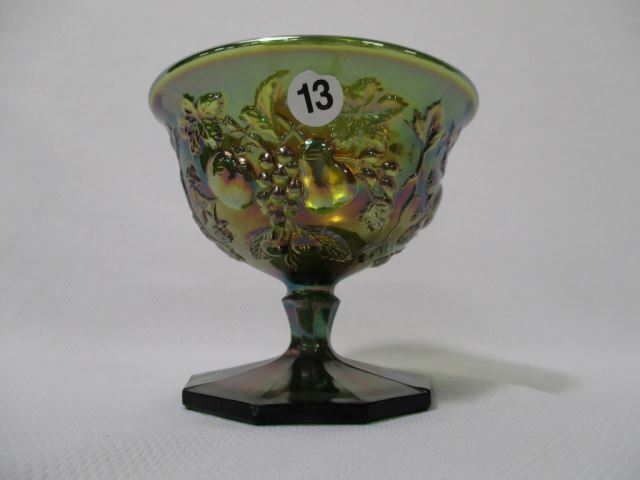 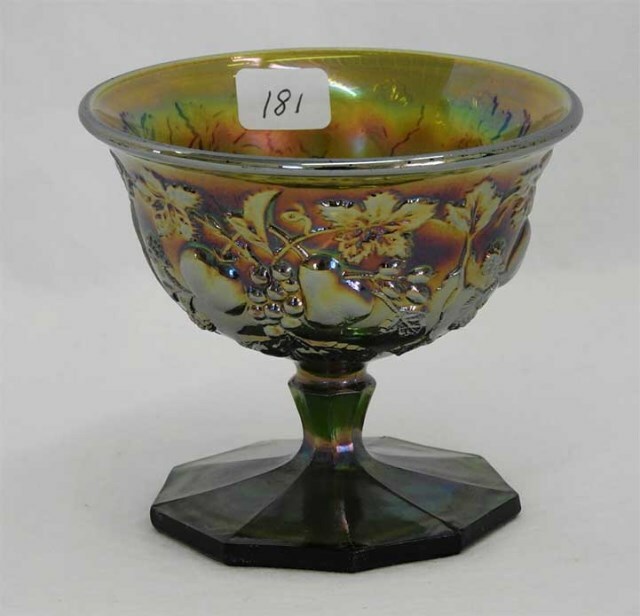 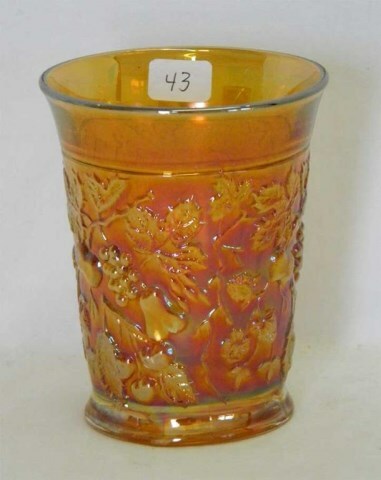 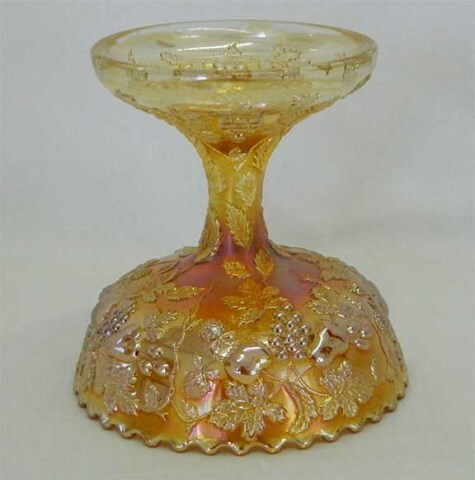 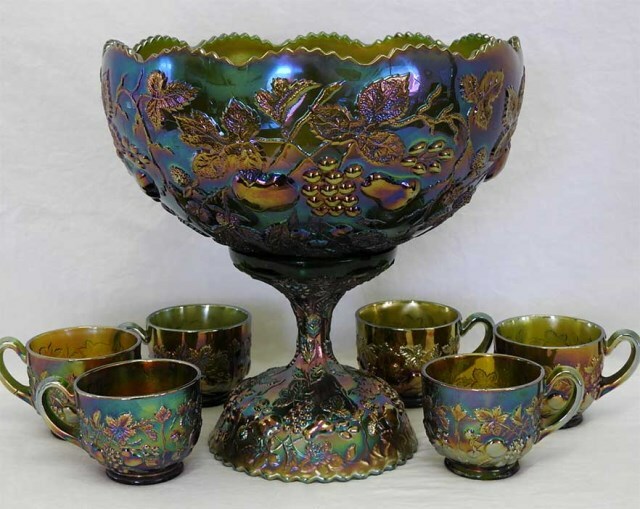 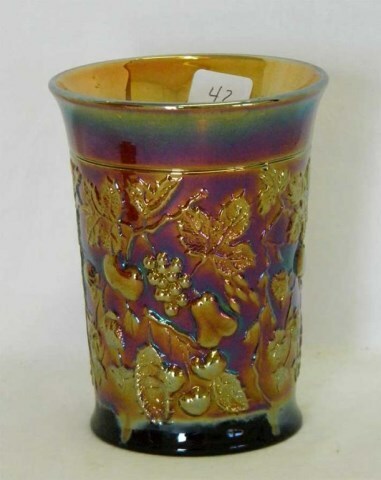 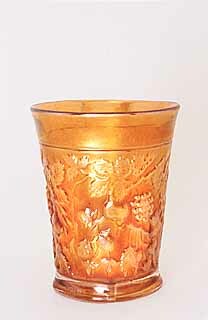 This one is so highly sought after and so few pieces exist that with the exception of punch cups, all examples bring at least 3 figures–many 4 or even 5. 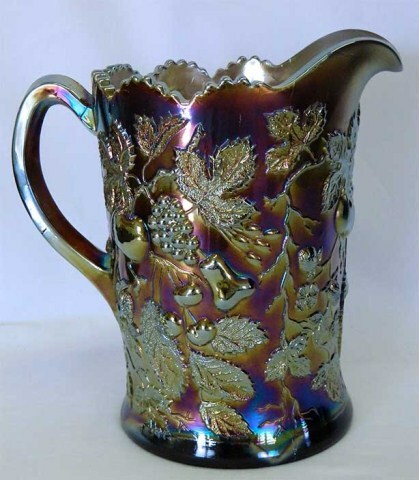 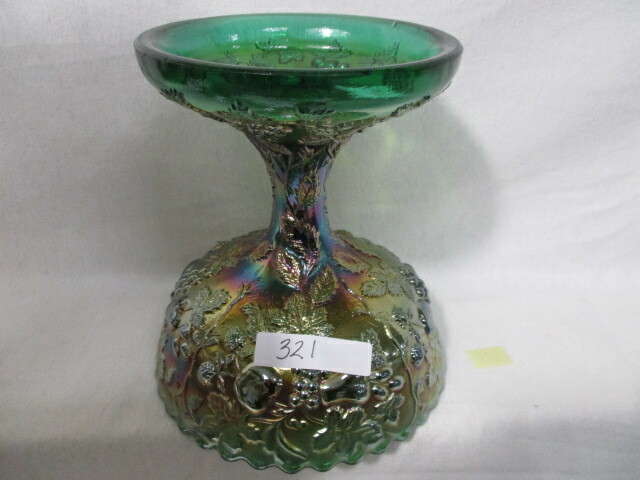 A green pitcher sold in 2002 for $16,000. 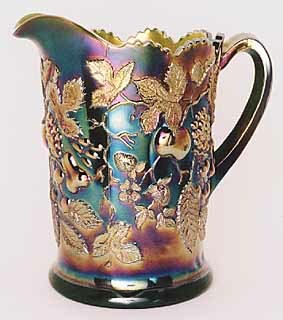 Some pitchers in this pattern have a rounded base. 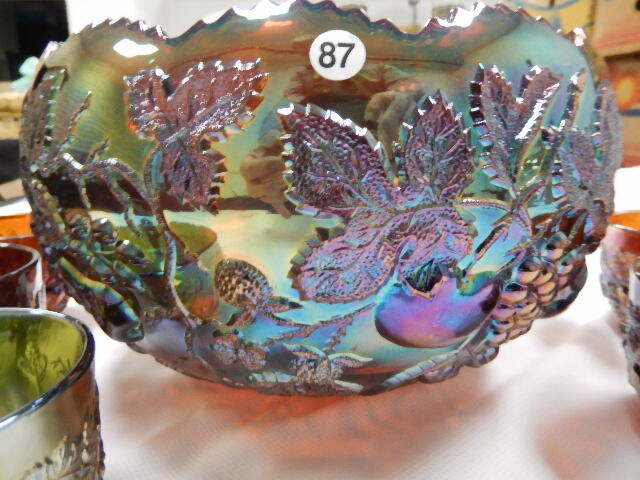 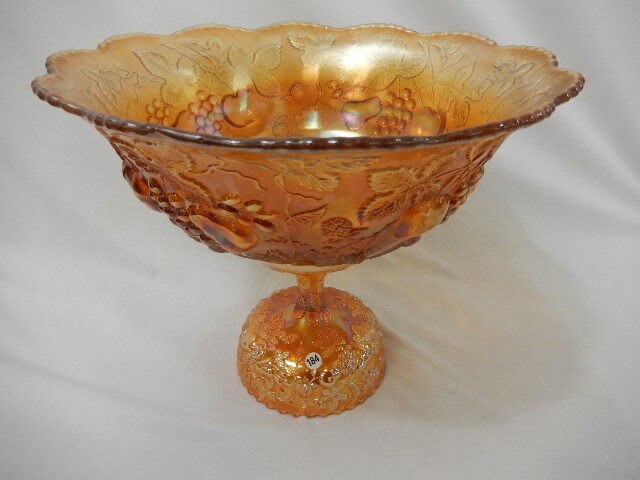 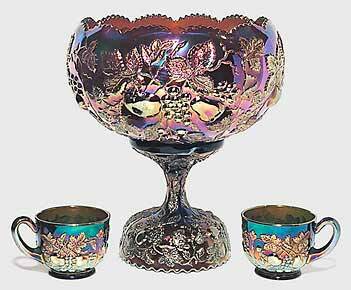 The punch bowls are found in either the tulip shape as shown on the left or flared as on the right. 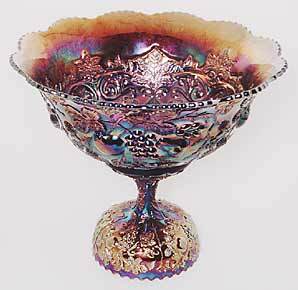 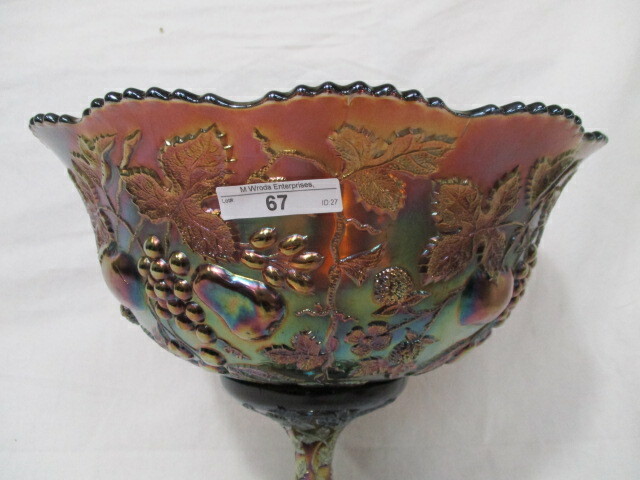 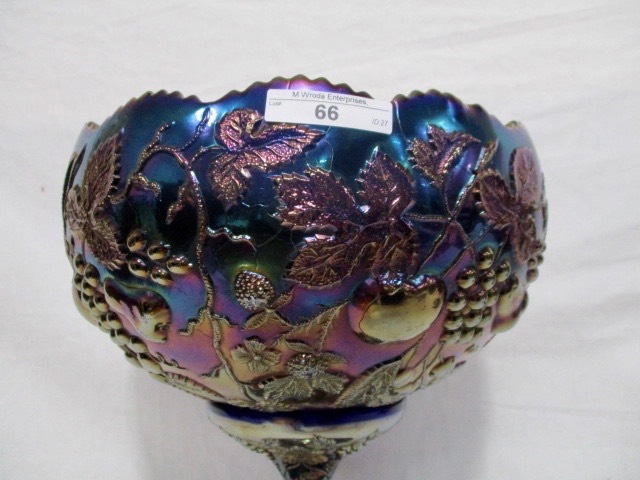 The flared example shown here is the only one known with an interior pattern–Scroll and Grapes. 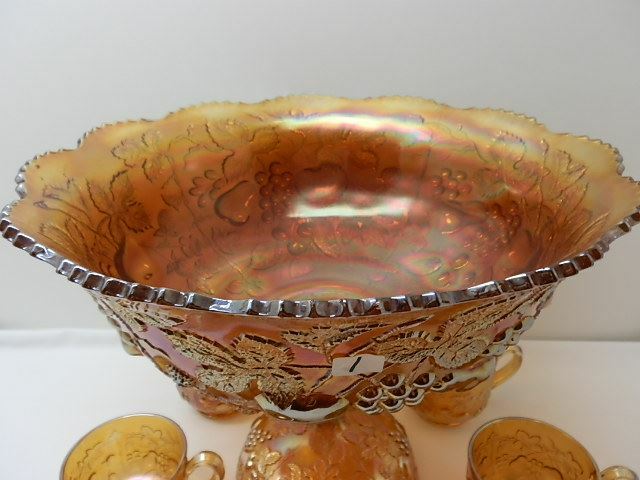 It's amethyst and is courtesy of Stacy and Des Wills. 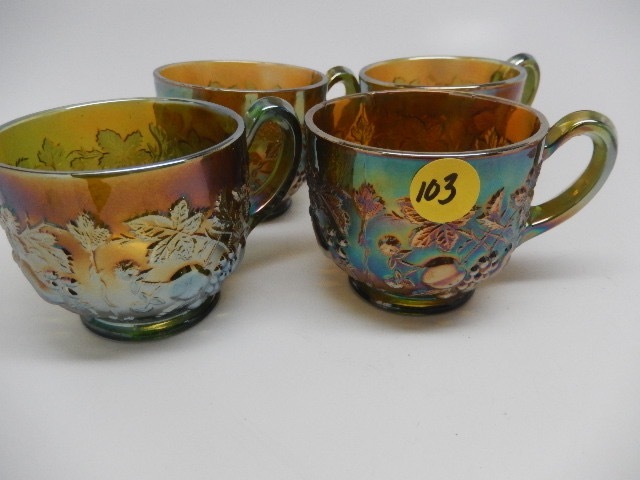 The tulip-shaped set is courtesy of the late Pat Davis.